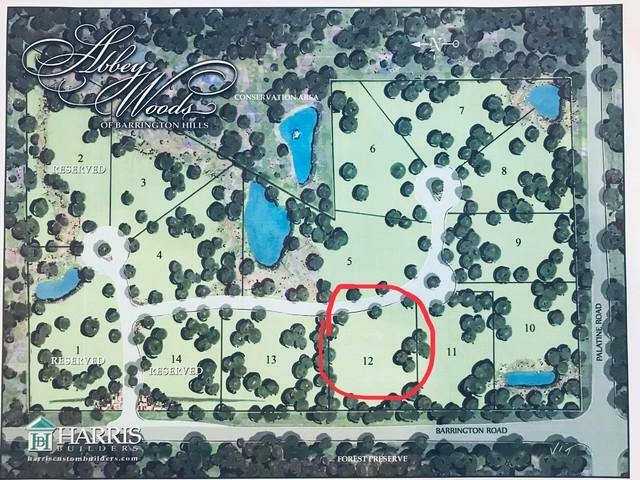 LOT 12 The LOWEST price for land in this established subdivision! 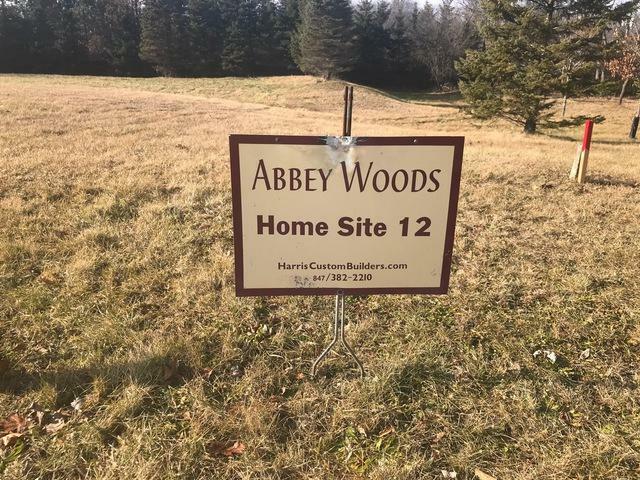 Over one acre of land to build your dream home in Abbey Woods, the newest and most prestigious subdivision in Barrington Hills, conveniently located at Barrington Road & Palatine Road, across from Inverness. 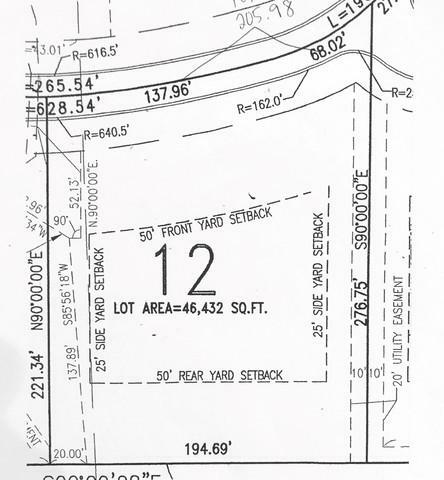 Each lot is over one acre. Use your own architect & builder or collaborate with legendary Barrington builder "Harris Custom Builders," to create your masterpiece. Minimum 4,000 sq. ft. home. 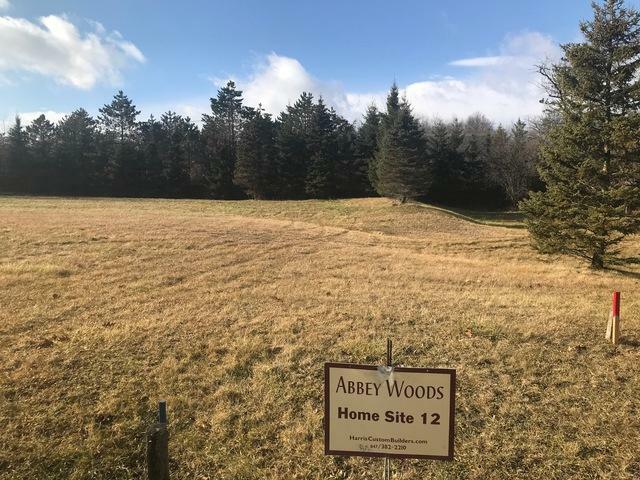 These lots will connect with municipal sewer & water. No septic tanks or well water. Association and village of Barrington Hills must approve plans. Private roads, and small association fee for snow plow and maintenance. Dream big! Welcome Home.